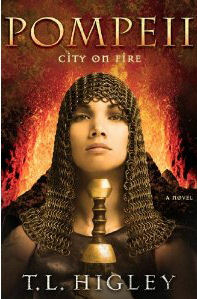 About the Book: Pompeii, a city that's many things to many people. For Cato, it's the perfect escape from a failed political career in Rome. A place to start again, become a winemaker. But when a corrupt politician wrongfully jails Cato's sister, he must oust the man from power to save her. *I received a copy of this book as part of the CFBA blog tour.